Make the students to hit the leeturer, with the objects, and without getting caught by the lecturer. To select the object, use space bar. To make the particular student to hit, press the number found above the student. To hit the lecturer, press the appropriate number on your number pad. 1-8 - Select students to throw. Spacebar - Select object to throw. To bring the game to pause, press pause button. To mute the sound, press mute button. If you want to play Class Room Fun games online you have come to the right place! GamesLoon adds new Class Room Fun games every week. This is your game portal where you can find the biggest collection of free Class Room Fun games online. 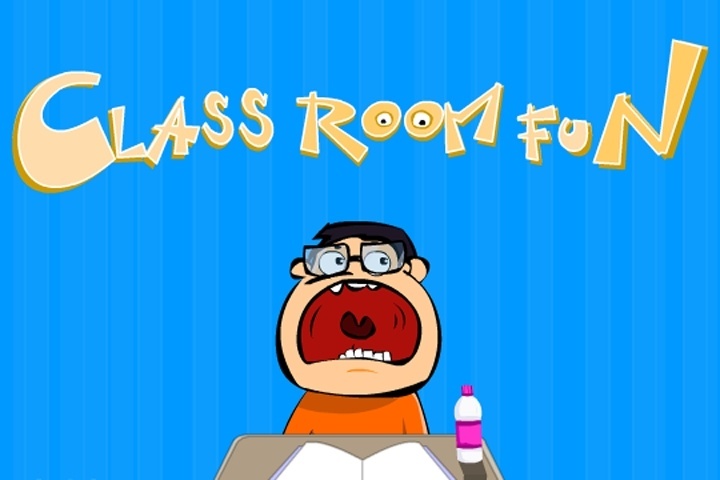 Do not forget to rate our Class Room Fun free online games while playing!